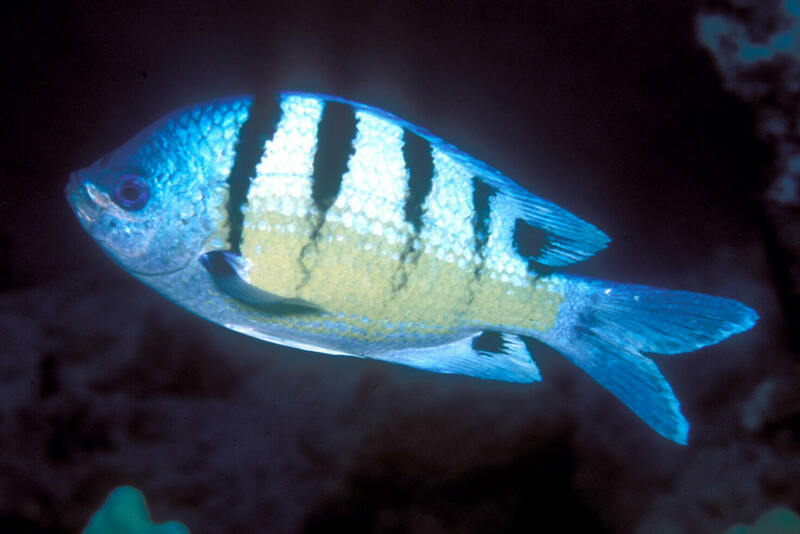 Microspathodon chrysurus (Cuvier 1830), the Yellowtail Damselfish, Atlantic Jewel Damsel. Tropical west Atlantic. To six inches in length. 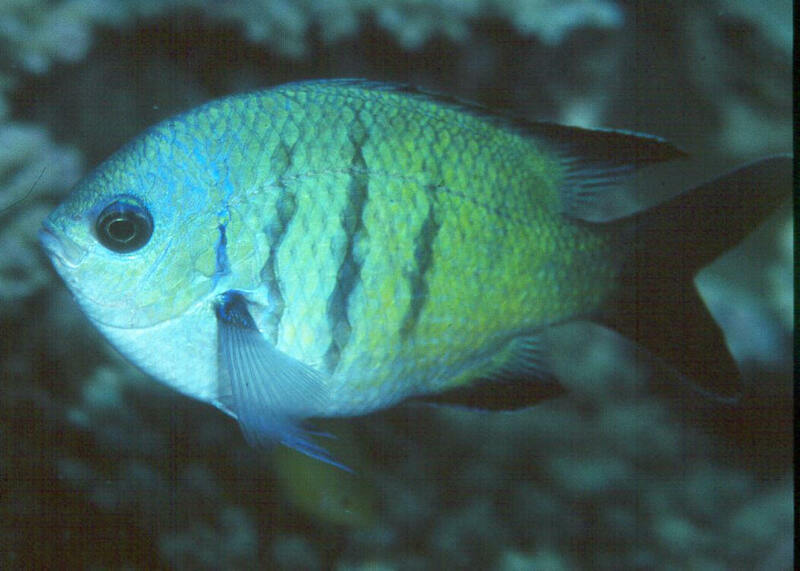 A middle life stage one in Key Largo, FLA.
Abudefduf abdominalis (Quoy & Gaimard 1825), the Green Damselfish, or Maomao if you're in Hawai'i. Central Pacific, Hawaii to Polynesia. To eight inches in length in the wild. Here in Hawai'i. 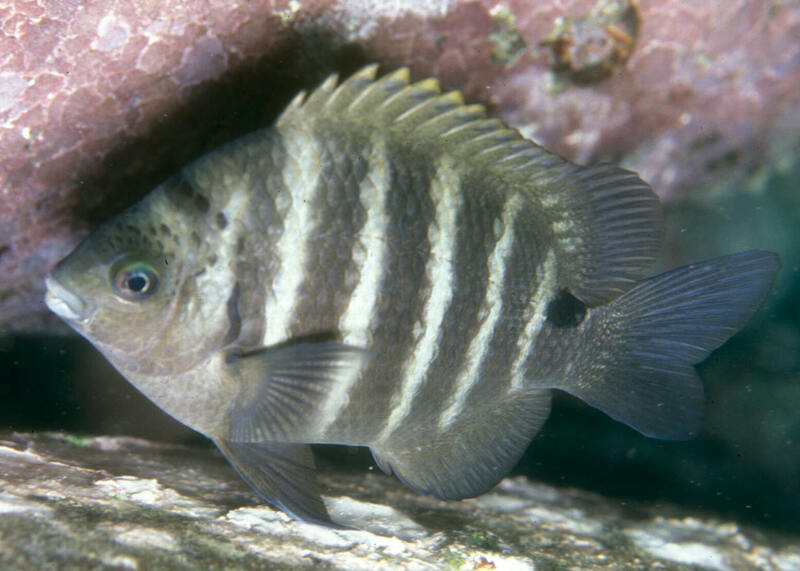 Abudefduf sordidus (Forsskal 1775), The Black-Spot Sergeant or Dirty Damsel. Indo-Pacific, including Hawai'i. Lives in high surge areas. To almost seven inches in length. Only occasionally imported as a pet-fish. 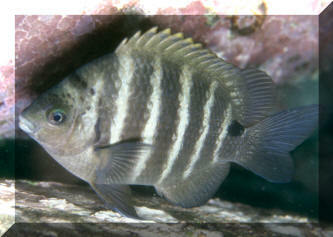 A pic shot at night while most fishes are laying down on the bottom, Kona, HI. Abudefduf whitleyi Allen & Robertson 1974, Whitley's Sergeant. Western Pacific; Australia and New Caledonia. To a little under six inches in length. 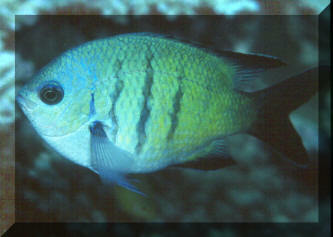 A beautiful and easier going member of the genus, which unfortunately rarely finds its way into ornamental markets. Image shot off Heron Island, Australia.